One year my son's teacher had all the students fill out a first day of school printable worksheet. Then, she had them complete a similar sheet at the end of the year. I still have those sheets in the tote where I keep my kids' mementos. I thought this would make a great annual tradition and keepsake. They're so easy to add to your family scrapbook. So, I created this first day of school printable. 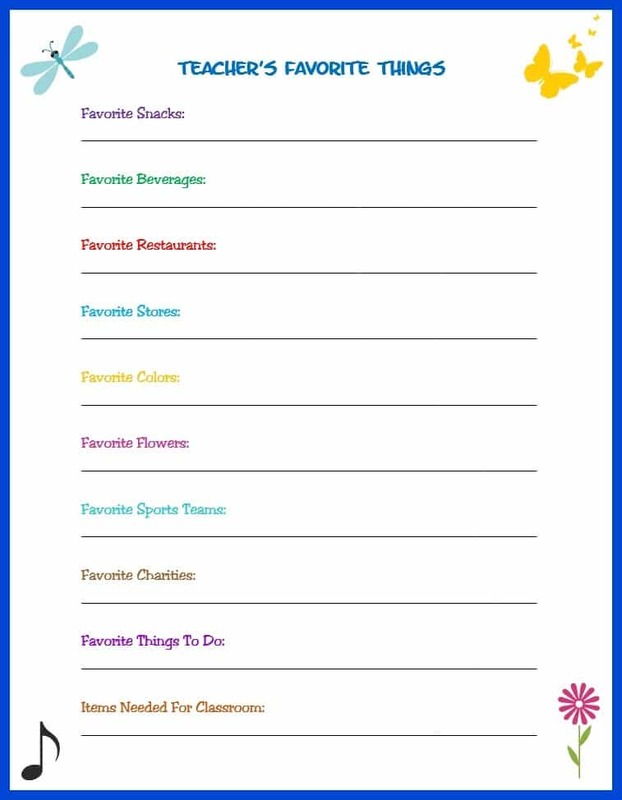 You can print off a new one each year and keep track of how your child's interests and skills change over time. It will be a wonderful gift for them when they are grown! 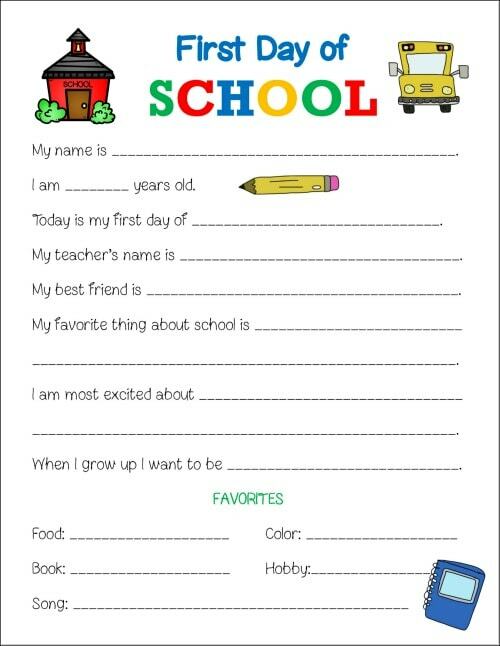 If your kids are in preschool, you can interview them and fill in the first day of school printable worksheet. As soon as your children are able to write though, they should fill them in on their own. Years later it's much more fun to look back on the early handwriting and spelling! Trust me. I have 4 teenagers and one of their favorite things to do as a family is to go through old scrapbooks and laugh about how different their little selves were from who they are now. You can either keep the completed sheets in a folder or file. Or, you can incorporate them into a scrapbook. Like this beautiful scrapbook quote reminds us, these little bits of our children's lives will become a lasting gift they'll cherish. 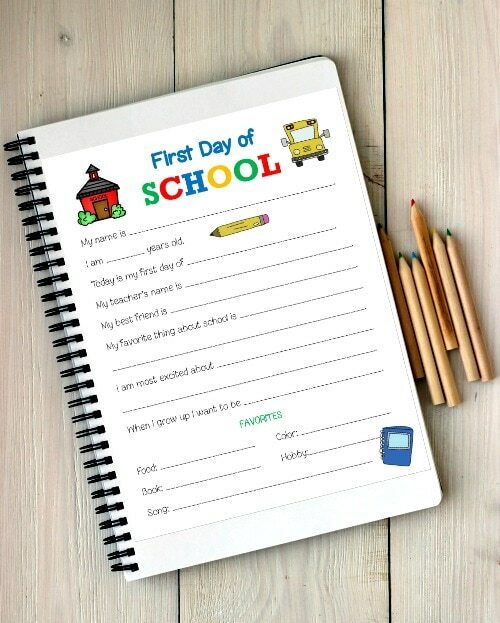 Click the image below to download/print your child's first day of school printable. The transition back to school can be chaotic. Hopefully, the printable activity above will help ease your child's anxiety on the first day of school. I hope these ideas and printables help you have an amazing start to your school year! 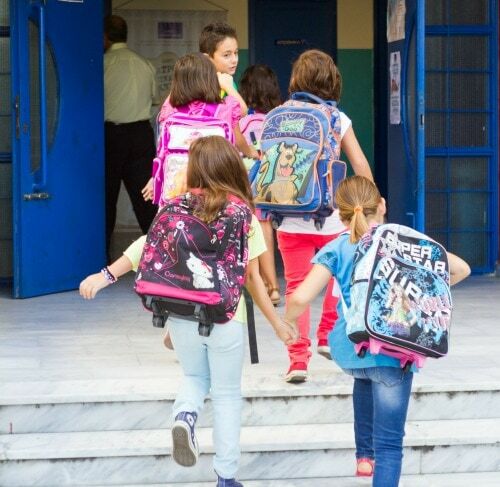 What is your favorite back to school tradition? What is your biggest challenge during back to school season? Please share your thoughts and ideas in the comments below!